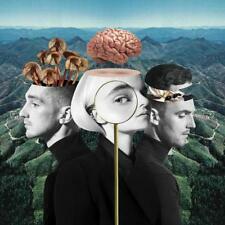 CLEAN BANDIT. We Were Just Kids - feat. Craig David & Kirsten Joy. LIMITED EDITION PRESSED ON RED VINYL / PLAYS AT 45rpm. DELUXE DOUBLE VINYL ALBUM. WHAT IS LOVE ?. 24 Hours - feat. Yasmin Green. THE DAMNED.LOVE SONG GERMAN REISSUE 7" BLUE VINYL SINGLE ON DAMNED RECORDS CAT. GERMAN REISSUE IN BLUE VINYL WITH WHITE LABELS. VERY LIMITED EDITION OF ONLY 100 PRESSED. LOVE SONG - REJECTED ED HOLLIS VERSION. Tribute To The Adicts Songs Of Praise EP. TRACEY ULLMAN. A1: HELPLESS. B1: FALLING IN & OUT OF LOVE. CAT# : PBUY 211. 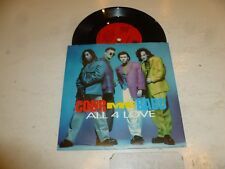 This is one of 10000 singles LP's, 12” and 7" that I HAVE COLLECTED OVER THE LAST 30 YEARS; they run from the 1950's to the 2000's and cover every style of music. Format : 12" Vinyl RECORD. Country of Origin : UK. This is one of 10000 singles LP's, 12” and 7" that I HAVE COLLECTED OVER THE LAST 30 YEARS; they run from the 1950's to the 2000's and cover every style of music. Country of Origin : UK. EX-/EX, sleeve has a little minor creasing, vinyl is in excellent condition. VINYL 7" - SIGNED ON FRONT COVER. PLAYED ONCE TO CHECK ONLY. This is a 12" BLUE Vinyl Record by Patrick Juvet. Record is in Excellent Condition. All products are described as Used as often the sleeve has marking or creasing on it. 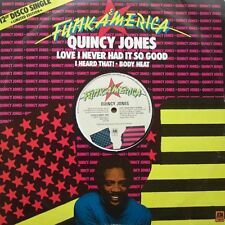 This is one of 10000 singles LP's, 12” and 7" that I HAVE COLLECTED OVER THE LAST 30 YEARS; they run from the 1950's to the 2000's and cover every style of music. Country of Origin : UK. Format : 12" RECORD / MAXI SINGLE. Vinyl condition:Very Good. No visible marks. Cover: Very good. Vinyl good. The cover and contents suffer from folding, scuffing of edges, spine splits, discoloration, etc. PVC sleeve, stickers with paper insert very good. Released on 4AD Records ADS 3017 in 1993. The Breeders. on rare limited edition original Clear vinyl UK 7" in picture sleeve with paper labels. Here I have a copy of. Artist: SUBCIRCUS. Label: ECHO. Year: 1996. 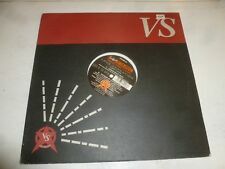 This K & K RECORDS kk001212" vinyl single was released in the UK in 1981. cover/case – normal wear & tear on the cover, light ring wear for example. vinyl/disc – record is just about playable, will jump, lots of surface noise. THE MOTORS Love And Lonliness 10" single Green Vinyl New Wave Pop Great ! THE MOTORS 'LOVE AND LONELINESS' 10" SINGLE (GREEN VINYL) VERY GOOD CONDITION. CATALOGUE NUMBER: VS263. 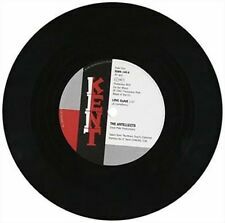 This 10" by the Motors was released on the Virgin label in the U.K. back in 1980. This copy is in very goodcondition (as described above). Radar Records. Look Back In Love [Not In Anger]. ORIGINAL 1978 UK 1st PRESSING IN BLUE VINYL. b/w I Can't Stay Long. - clean, mild shelf rub. VINYL SIMPLE 45s. VINYL CONDITION NEAR MINT. -vinyl this record is flat, unplayed. 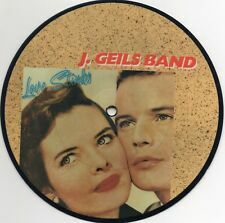 This S & G RECORDS sg912" vinyl single was released in the UK in 1981. SAFFRICE-dreaming of your love. cover/case – normal wear & tear on the cover, light ring wear for example. vinyl/disc – shows marks & light scratches that do not have a major effect on the sound quality. TITLE: TOSSING AND TURNING / FUNNY HOW LOVE CAN BE. ARTIST: THE IVY LEAGUE. Beyond this an "Unpaid Item Dispute" may be opened. The Damned ‎– Don't Cry Wolf / One Way Love. A Don't Cry Wolf 3:10. Stiff Records ‎– BUY 24. Producer –Nick Mason. Vinyl, 7", Single, 45 RPM,Pink vinyl. B One Way Love 3:39. Odd light mark otherwise very nice and clean. Artist: LOVE HATE. Label: COLUMBIA. Year: 1992. Red coloured 7” vinyl new and never played, vinyl and sleeve are in excellent condition. Please see photos for tracklist and all other information Thank you for looking have a great day and if you have any questions please feel free to message me. I aim to post all items within 24 hours of payment being processed apart from Sunday’s and bank holidays,All items I sell are new or if second hand in excellent condition If for any reason your not happy with your purchase please contact me as I aim for 100% customer satisfaction. RECORD GOOD CONDITION, SLEEVE MINOR WEAR. Record : Good. We take great care in taking photos to show the actual item condition. Good: May show signs of wear and tear, may have marks/scratches etc. Mint: Like New. The cover and contents suffer from folding, scuffing of edges, spine splits, discolouration etc. A2: All 4 Love (Album Mix). B1: All 4 Love (Red Hot Mix). Catalogue Number: W0053(T). the sound, which is why we play testall of our records. Label: POLYDOR. Title: LOVING IS EASY. Year: 1978. Keep Reaching Out For Love. Night Train. ARTIST: Swans. TITLE: Love will tear us apart. A Love Will Tear Us Apart 3:39. Pressed in red vinyl. Records Advertised, As Sealed Or Unplayed Should Be Mint. The Cover And Contents Suffer From Folding, Scuffing Of Edges, Spine Splits, Discolouration, Etc. Artist: WINANS. Label: QWEST. Year: 1987. EXCELLENT - RECORD OBVIOUSLY PLAYED BUT STILL IN NEAR PERFECT CONDITION, SLEEVE MAY HAVE SLIGHT IMPERFECTIONS BUT NO SIGNS OF ANY WEAR. MINT - RECORD MUST BE NEW SEALED OR OBVIOUSLY BARELY PLAYED FOR THIS GRADE, SLEEVE MUST BE PERFECT. Artist: BARBARA FAIRCHILD. Label: COLUMBIA. Year: 1973. Catalogue number CL 15968. B Side is: Bein' With You. A Side is The Ghost of Love. Release Year: 1976. I use the Rare Record Guide matrix as a guideline but also prefer to listen to the vinyl where possible and visually grade the condition. Artist: FEARGAL SHARKEY. Title: LOVING YOU. Year: 1985. RECORD GOOD CONDITION, SLEEVE CORNER CREASING. In very good condition to both sleeve and vinyl. it is on the Giant Record Label. it's Highest UK Chart Position was - No.5. Rare Picture Shaped Vinyl. This disc has never been played. Slight discolouring around edge, as shown in photo. A. 'Wait For My Love'. Label: International Artists / Cat #: 1A 126 / Green Vinyl / Reissue. Getting harder to find.don't miss it ! Label: ARISTA. Artist: SCARLET FANTASTIC. Year: 1987. 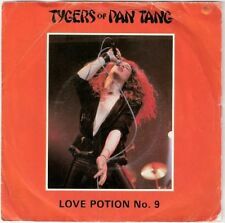 1979 release by Ariola. Catalogue number: ARO 141. The Three Degrees. A: Woman In Love. Blue vinyl 7" single. B: Out Of Love Again. made with love by.